ENJOY TRUE ROMANCE IN THE HEART OF GEORGIA Build Your Own Romance Package Valentine's Sweetheart Package The Lanier Islands traditional Valentine's Sweetheart Package comes with many romantic gestures to impress that special someone! The Lanier Islands traditional Valentine’s Sweetheart Package comes with many romantic gestures to impress that special someone! Take advantage of this once-a-year opportunity to show off your softer side. This is one of the most romantic getaways in Georgia. Book your trip to Lanier Islands today! 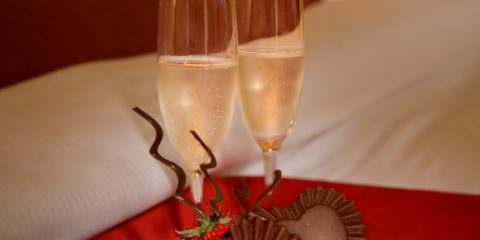 Spend the day celebrating love, while enjoying the Lanier Islands Family Valentine’s Day Package. Package includes dinner for two, movie screening of “Inside Out” for the kids, and a breakfast buffet for up to four people. The Ride & Romance Package is a perfect combination for those looking for a little horseback adventure, as well as a romantic getaway. Soar through the skies with your sweetheart, and then enjoy some much-deserved relaxation at Legacy Lodge! Relax with your significant other at Lanier Islands with this couples package.